Rizki is the third of five children. When he was about 5 years old, his parents divorced and then remarried with their new partner. 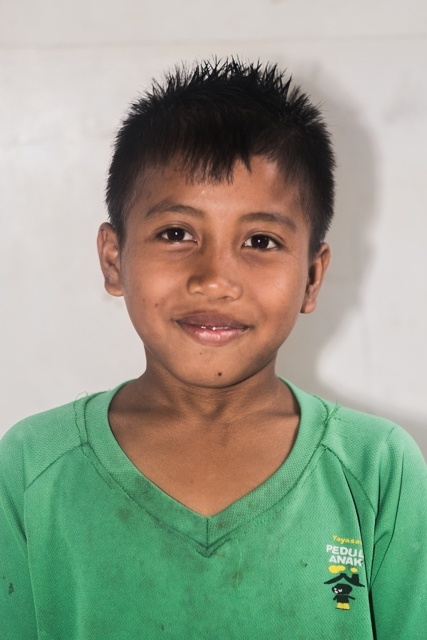 As a result of a broken home family, Rizki and his siblings were finally entrusted to his grandmother from his mother’s side. Since his grandmother was too old to raise Rizki, he was then sent to an orphanage, but unfortunately, the orphanage couldn’t help much. Therefore, he was referred to Peduli Anak for rehabilitation and counseling. His hobbies are playing football and basketball. He wants to be a soldier when he grows up.